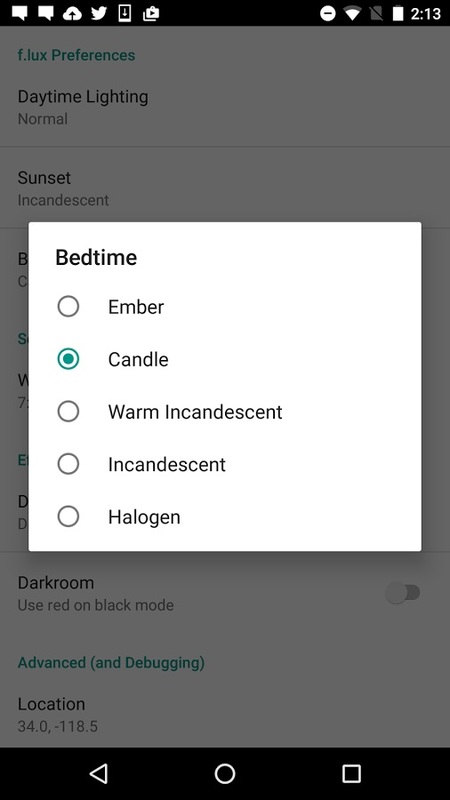 Automatic screen-dimming app f.lux released for Android. f.lux has been available for iOS, Linux, Mac and Windows for quite some time, but it's brand new to Android. f.lux removes the bright blue colors from your phone to help you wind down at night and returns your screen to normal the next day. This is a preview version and requires a rooted phone. f.lux makes the color of your mobile's display adapt to the time of day, warm at night and like sunlight during the day. It's even possible that you're staying up too late because of your computer. 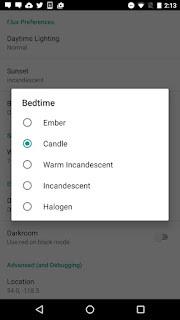 You could use f.lux because it makes you sleep better, or you could just use it just because it makes your computer look better. f.lux makes your phone screen look like the room you're in, all the time. When the sun sets, it makes your computer look like your indoor lights. In the morning, it makes things look like sunlight again. Tell f.lux what kind of lighting you have, and where you live. Then forget about it. f.lux will do the rest, automatically.